Do you miss the old leaky pens from the real world? Well now your Photoshop pen can spring a digital ink leak! Splatter Reed, the latest digital ink brush is a leaky ink Photoshop brush that splatters ink as you draw. 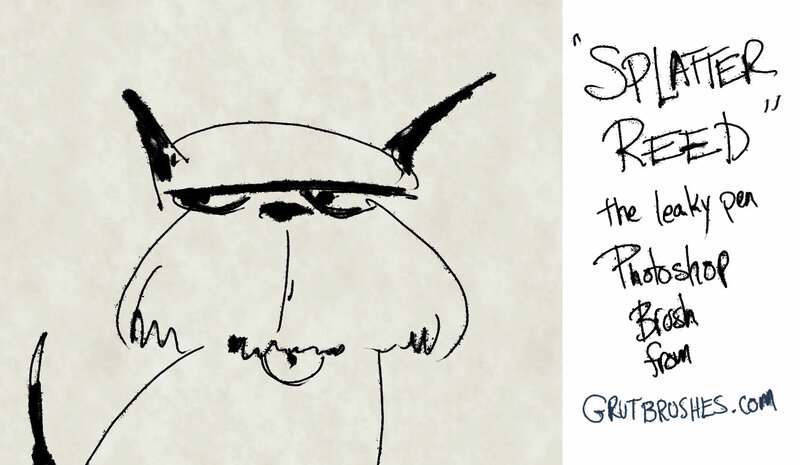 The faster you sketch back and forth the more digital ink splatter you’ll get. 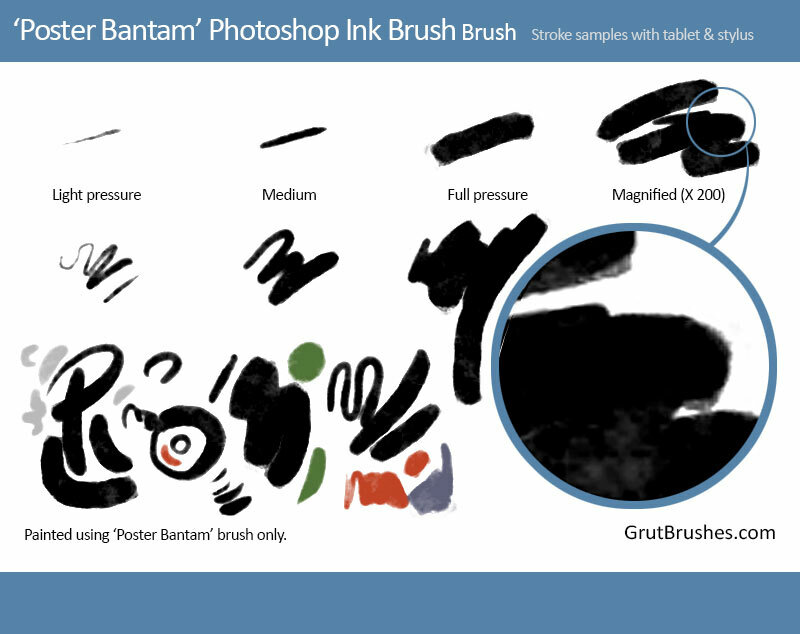 Get the messy leaky ink photoshop brush for yourself. This time, the carpet’s are safe. When using the watercolour brushes, you may want to reduce, increase or simply control where the ‘edging’ appears. While painting, make sure you don’t lift your pen or stylus off the tablet, then reduce the pressure until you are pushing very lightly and go over the area where you want to remove the edging. With a light stroke you will no longer be adding paint and will only be removing the dark edges. Then, if you like, you can go back over the same area with more pressure and add in fill. As long as you don’t lift your pen, your stroke will be ‘edgeless’ on the second pass. The key to all of this is you cannot lift your pen off the drawing tablet, you can take your time but it must all be done in one stroke. 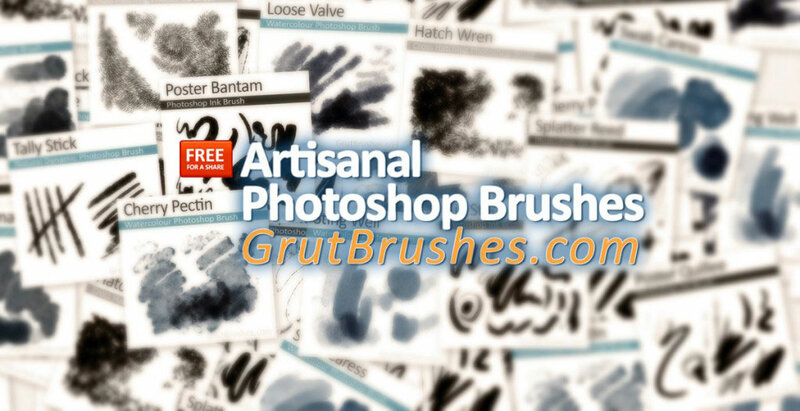 Download a free realistic watercolour brush tool to try it for yourself.